A article on ‘Skeletons in the closet’ in the Chinese edition of French fashion and lifestyle magazine Numéro. Datum – Seiten der Zeit, an Austrian magazine, featured ‘Skeletons in the Closet’. Early Birds, an art clubbing format at Kunsthalle Wien, featured images of ‘One Third’ and ‘Skeletons in the Closet’. 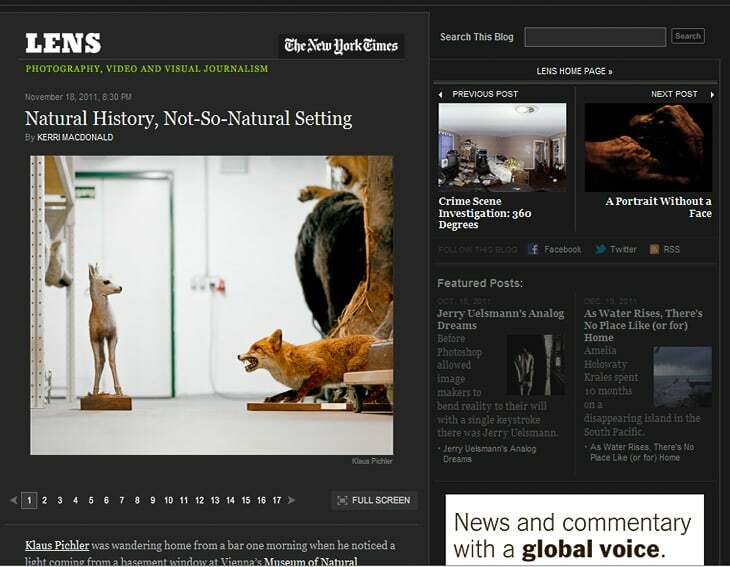 LENS, the photo blog of the New York Times, did a feature on ‘Skeletons in the Closet’. 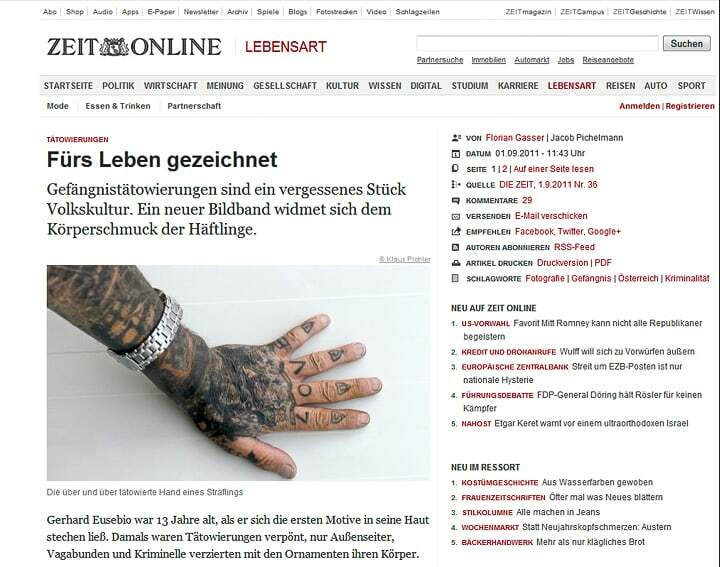 An article on ‘Skeletons in the Closet’ on the website of German newspaper Die Zeit. A book on still life in contemporary art by Michael Petry. ‘Nature Morte’ is, amongst plenty of other artists, also featuring images of ‘One Third’ and ‘Skeletons in the Closet’. Photo from ‘Skeletons in the Closet’ licensed for the poster of ‘Das Leben ein Traum’ by Pedro Calderon de la Barca, on stage at the Münchner Volkstheater . 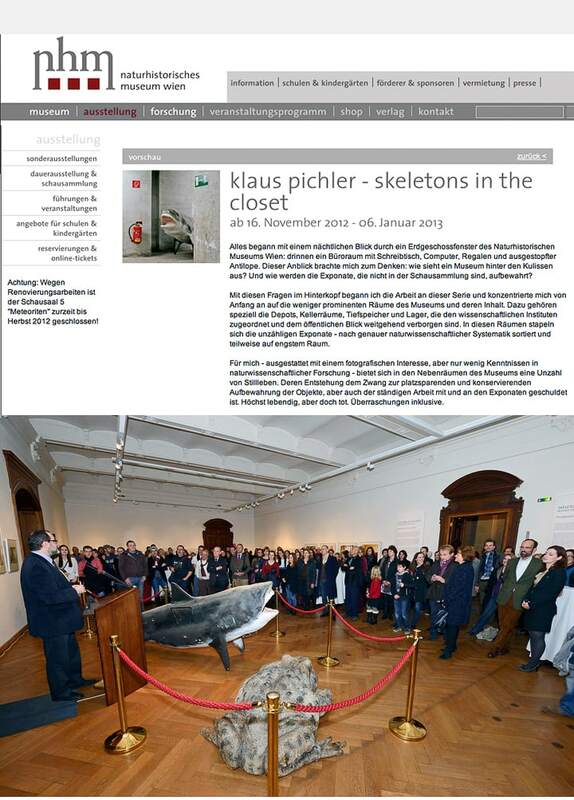 A photo of the exhibition of ‘Skeletons in the Closet’ at the NHM – Natural History Museum Vienna. Editorial of ‘Skeletons in the Closet’ in dutch arts and photography magazine YVI. Photo from ‘Skeletons in the Closet’ licensed for the annual summer break poster of Münchner Volkstheater.